You have an excessive weight issue and you know what stands between you and your fitness goal: it’s your love of eating. You like the taste of every food, especially of those that make you fat. Good meals make you insatiable, restaurants, fast foods and confectioneries make you drool. You cannot help it. You may then think that there is no hope for you to shed some of those extra pounds. You have no energy for workouts and taking weight loss pills scares you. Luckily, there is something you can do and it’s not about starving yourself. All those slim people out there, they don’t just breathe air and eat nothing. Their bodies need fuel, too. They just might be eating smarter. It is silly to think that you can eat close to nothing and thrive. That will only do you harm and may not even have the desired effect of slimming, since your body will desperately go into starvation mode and save all its stored fat for survival. The solution is to focus on foods that provide you with great nutrition instead of empty calories. Why are some foods better than others? Why do we call these “superfoods”? First of all, it’s about their nutritional value. Secondly, it’s their ability to keep your metabolism in check and avoid putting on fat. Superfoods have plenty of minerals and vitamins, also providing you with important quantities of macronutrients like lipids, protein and carbohydrates, as well as with healthy glucides. There are people who consider ‘superfoods’ to be a myth. That is not correct. In the fast-food and supermarket era, we eat products grown through intensive agriculture, with a depleted soil, not enough sunlight and then ‘enhanced’ with synthetic substances for color, flavor and texture. The calorie count of such foods may be high, while their nutrition value is low. In this context, nutritionists have focused on finding products that break the rule and which contain more nutrients than regular food. Additionally, a superfood is natural, with no additives or enhancers and often can be consumed as it is. Furthermore, it is packed with minerals and vitamins or with certain compounds that are simply not found in other foods – at least not in the same amount. A superfood does no harm – on the contrary, it is entirely beneficial to health. Its regular consumption regulates bodily functions, including the metabolism, hence the weight loss effect. The list below reveals 21 of the foods deemed by nutritionists and fitness gurus as ‘superior’. 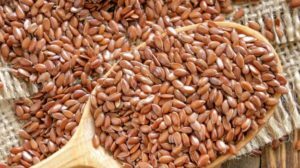 These small seeds are packed with nutrients and contain loads of healthy fats. Also rich in fiber, they will help with your digestion. 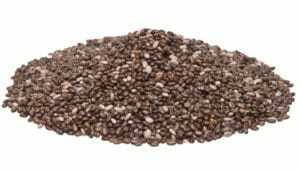 What is even better about chia seeds is that you can add them to almost any dish you can think of, from salads, vegetables, pies, pudding etc. to smoothies and sweets. These are very similar to chia and really affordable. Their uses are just as diverse, you may add them to smoothies, to your morning milk cereals, desserts and so on. One tablespoon has only 55 calories so don’t be afraid of adding these seeds to your food. 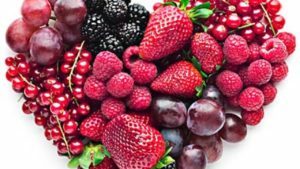 Berries of all kinds and cranberries in particular are always recommended in slimming diets, due to their low calorie content, antioxidants, vitamins and other amazing compounds that keep us healthy. Also, fat melting pills often contain berry extracts, known as ketones. The sweet yet astringent flavor of berries will refresh you and enhance other foods such as oatmeal, smoothies or yogurt. You often see it in smoothies but it can be tossed into stews, soups and all kinds of baked goods. 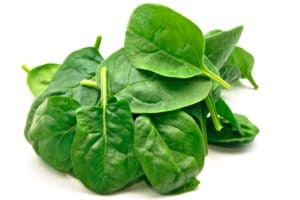 This is a leafy green with important quantities of iron and potassium, with protein and fiber. You may not believe it but, light as it is, it’s great for building lean muscle. These are incredibly versatile, hydrating, with antioxidant properties, loads of lycopene and potassium. 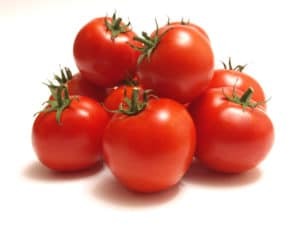 Tomatoes can be cooked in so many ways, put in salads, in pasta, pizza, tacos or eaten with cheese (which is actually advisable, since they aid with nutrient absorption). Watermelon is fulfilling due to its very high content of water and to its sweet taste. It is known as an ideal solution to both thirst and hunger. Therefore, introducing melon as a snack to your diet can be highly beneficial; it will eliminate the need to nibble on sugary foods, which will add calories and fat. 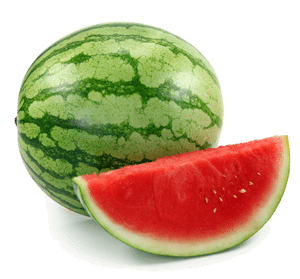 Besides, its antioxidant properties make watermelon one of the best choices as dessert – it’s sweet and juicy, you’ll no longer crave ice cream, soda or so many of the regular sweets. Plus, in spite of carrying so much sweetness, watermelon has only 46 calories per cup. Looking for a tremendously beneficial and tasty low-calorie snack? Go for the famous, popular apples. 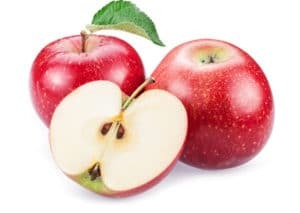 The 4 grams of fiber in one medium-size apple will make you eat less; besides, it can prevent so many diseases, including cardiovascular ones. With a high water and vitamin content, apples could be considered the ideal fruit. Make sure to eat the skin, too. That is the most nutritious part. It’s best to eat them raw, but cooked apples aren’t bad either. Apples go well with spices like cinnamon, therefore strive to include more of them in your diet, cooked and raw. 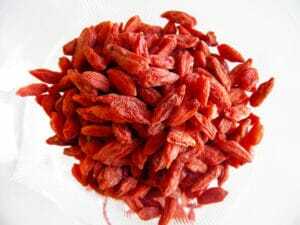 Goji berries are available in simple form or in various products such as cereal bars, yogurt, muesli or granola. They started out as a healthy food supplement and nowadays are being consumed on a larger scale and in various forms, as additions to a great deal of meals. Gojis count an impressive number of amino acids – 18. Besides, one ounce has only 23 calories and loads of fiber. It is possible to simply chew these berries, they have a pleasant astringent taste and will put an end to hunger rapidly. Gojis can suppress one’s appetite. A banana can satisfy your hunger for a sweet snack and will keep you full until the next meal scheduled. 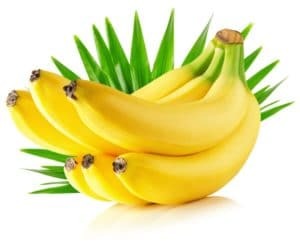 Apart from that, it can go into a lot of dishes; you can make banana sandwiches and smoothies on a daily basis, letting it replace high calorie ingredients such as milk. The taste is tart, but it can be incredibly refreshing. Grapefruit is known as a healthy food that protects the liver and helps melt the fat. 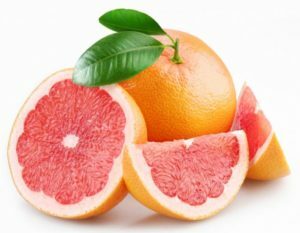 It’s all backed by clinical studies, which also revealed that the best way to consume grapefruit is by eating it, followed by juicing. 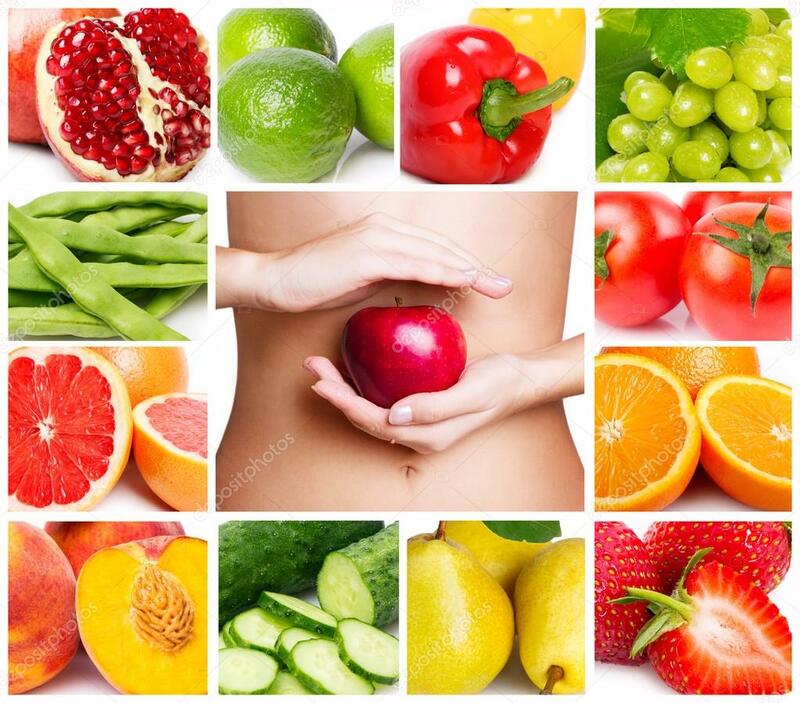 Like every fruit, it should also contain the fiber that comes with it. All whole grains are recommended for health and weight loss. However, buckwheat has a special place. This has plenty of protein, fiber and minerals. It promotes satiety early on and thus prevents you from overeating. 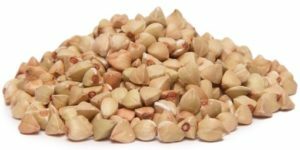 You may eat buckwheat raw, just let it sit in a bowl with water for a few hours. Or, you can boil it for several minutes. In our minds, popcorn is a fattening food, since it’s associated to overweight people sitting on the couch and watching movies for hours. It isn’t so, however. 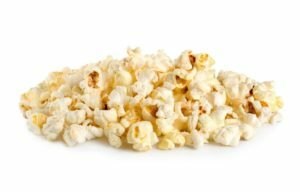 Per portion, popcorn has a lower amount of calories – if you don’t put sugar, butter or other additives in it. This food with plenty of complex carbs is slow to digest, thus keeping your stomach full for longer and is cheap, too. To make your air-popped popcorn tasty, you should add various seasonings from your kitchen. Most of these tend to have a thermogenic and metabolism boosting effect anyway. 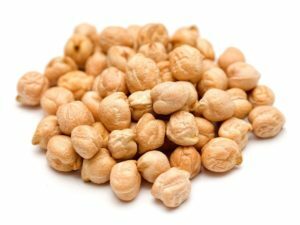 With 12 grams of proteins in one cup alone, chickpeas are at the top of the list, along with the foods containing most protein. Plus, they’re very tasty (especially in hummus) and fulfilling thanks to their density. Chickpeas can simply be boiled and added to foods or roasted, then sprinkled with salt and spices. If you’re a fan of potatoes but you must limit the intake (since they’re such big enemies of a lean silhouette), replace these with sweet potatoes. You’ll be getting loads of healthy carbs, fiber and minerals. 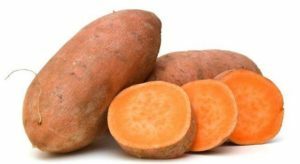 Don’t worry about your blood sugar levels – in spite of being sweet, these potatoes do not cause glucose spikes. You can and you should keep their skins on with any meal. It’s easy to figure out that bell peppers are filled with water and fiber, but that is not all. They have a very high content of Vitamin C, among other ones. The yellow ones are the best in this regard, followed by the red variety. It’s best to eat them fresh. 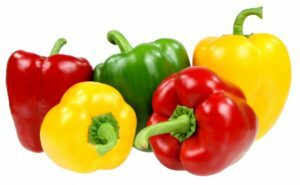 Added to cooked meals, bell peppers will trigger satiety much sooner. Weight loss can often be counter-intuitive. For example when it comes to lentils, which are dense and nutritive. With that density, you may imagine gaining weight quickly, but that is not true. Lentils deliver important amounts of fiber and especially protein, the latter being suitable to weight loss and muscle building, rather than fattening. If you find them slow to cook, let them soak overnight in a bowl filled with water. 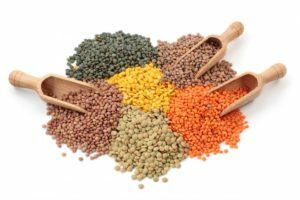 When you introduce lentils into your diet, you no longer need to eat meat, at least not as much as you used to. Here’s more grat news: they fat content is really low. Here we have yet another dense food that is appropriate for losing weight. Oatmeal for breakfast is filling and releases energy for many hours – no need for snacking between meals. As long as the oats have no added sugar, you’re safe. You’ll be getting a good amount of complex carbs and fiber. 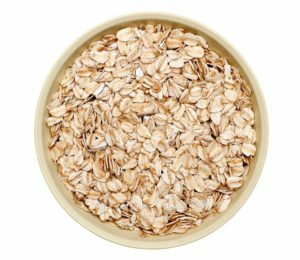 If you find oatmeal boring, you can look up dozens of exciting recipes, most of them being extremely simple too. For example, you can add berries and various other fruits to your oats. 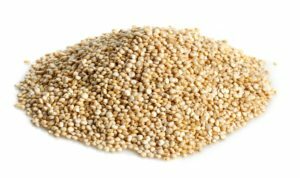 Perhaps the best known “superfood” out there, quinoa has a solid reputation in the health and fitness world. It has plenty of fiber, as well as protein, which make it ideal in weight loss diets. Quinoa provides energy for the long run and curbs down hunger. You may want to use it instead of bread and rice in order to avoid the heavy load of carbs and slim down. 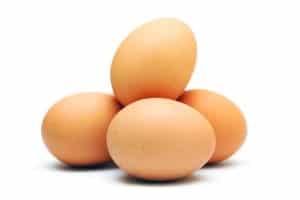 If you still feel like you need to rely on animal protein, have more eggs instead of steaks (the latter contain too much saturated fat). They’re healthy in their entirety, with both the yolk and the white. According to new studies, cholesterol isn’t that much of an issue as previously thought. In addition, if you choose to make omelet, you can treat yourself to a fabulous meal – depending on what else you are adding. Choose vegetables and avocado if you want it to e 100% beneficial. So many people misunderstand yogurt. With its diverse nutrients and especially probiotics, yogurt is a top-notch health food, especially when it’s got some fat, too. You might be surprised but yes, Greek yogurt is the best choice, even when you’re concerned about your weight. 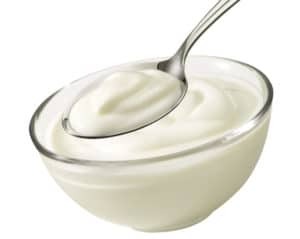 A great piece of advice is to employ yogurt in as many recipes as you can, instead of sauce or mayonnaise. A weight loss food that contains 28 grams of fat? Yes, it’s the avocado wonder. It is so thanks to its healthy lipids – the monosaturated fats that protect your heart. 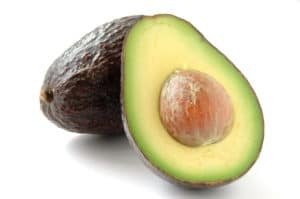 If you’re not yet a fan of avocado, you will be as soon as you start experimenting with it by adding this to various foods, even making it a part of your daily sandwiches. Since it’s so fat and creamy, you will feel as if you are indulging in one of the ‘forbidden’ foods. There is no reason for guilt here, anyway. As you can see, some of these superfoods for weight loss are exotic, while many others are rather common. You don’t have therefore to shop for expensive overseas produce – you can have the est slimming foods right in your garden.